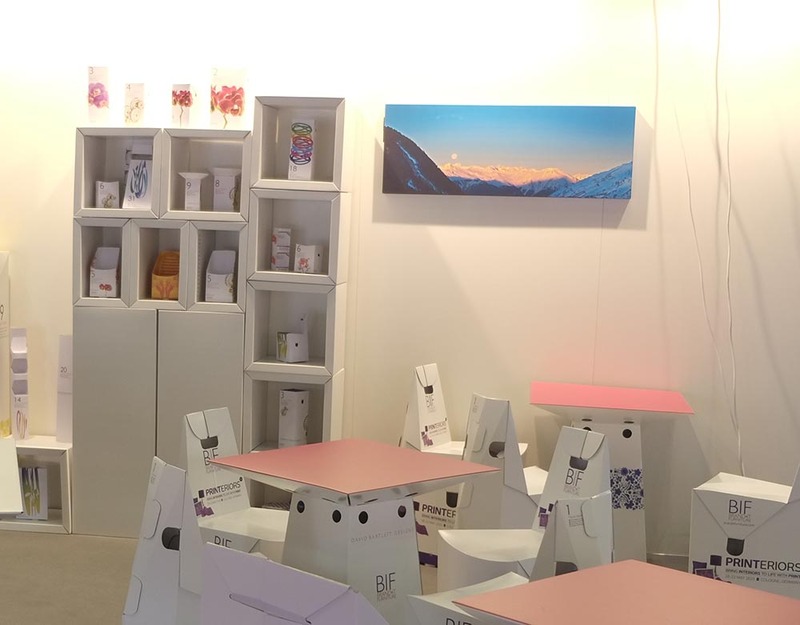 Brand•it furniture has a collection products specifically designed for events and exhibitions. 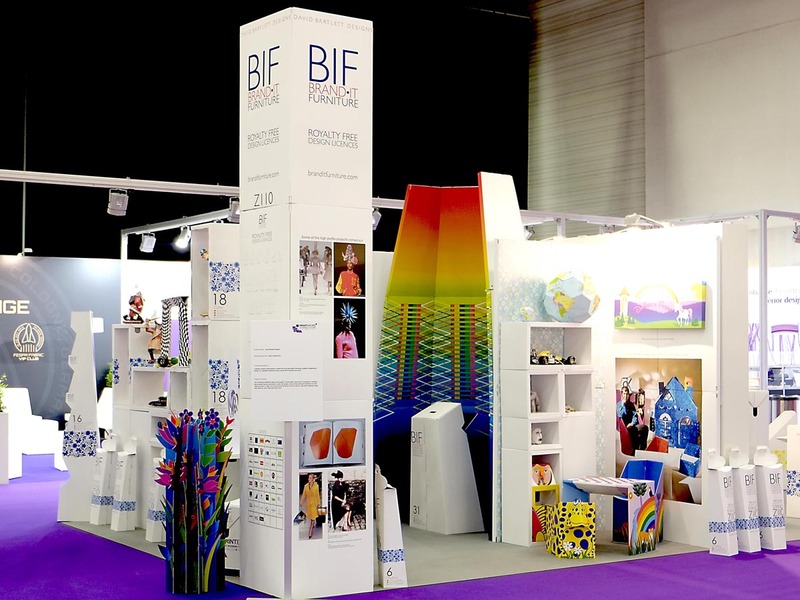 The display panels form the backdrop, with products like plinths and reception desks to make your event stand out. We also have lecterns, projector stands, shelving, brochure racks and all the products that you need for a complete event stand or branding products. 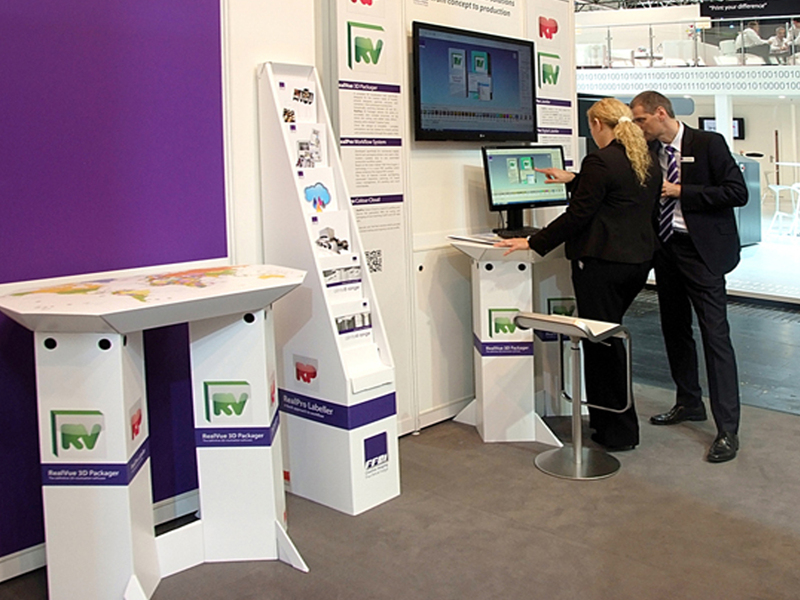 Display Panels – The Brand•it display panels form the back drop for the stand. They are 600mm wide and are folded into two. They can be 1M or 1,2M high and can be stacked 2 or three high. 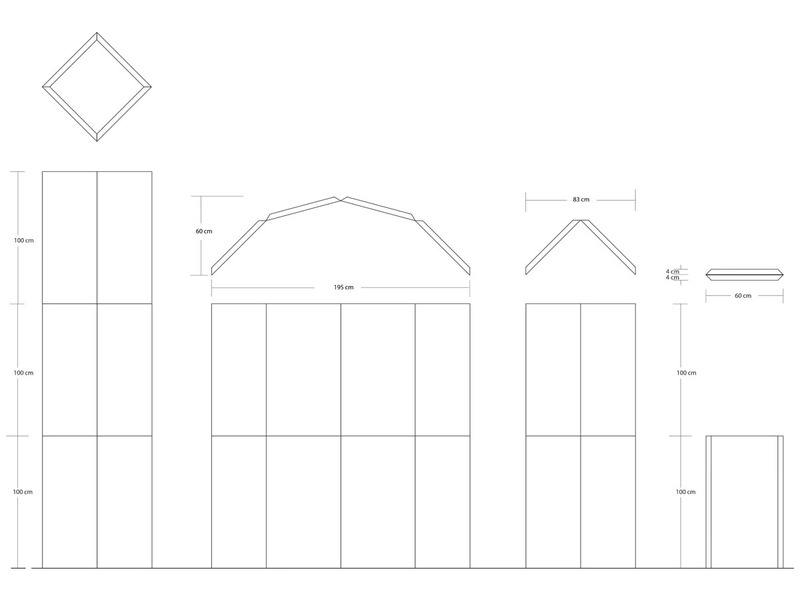 These panels can be shaped into curves, L shapes and S shapes depending how you wish to form your stand. 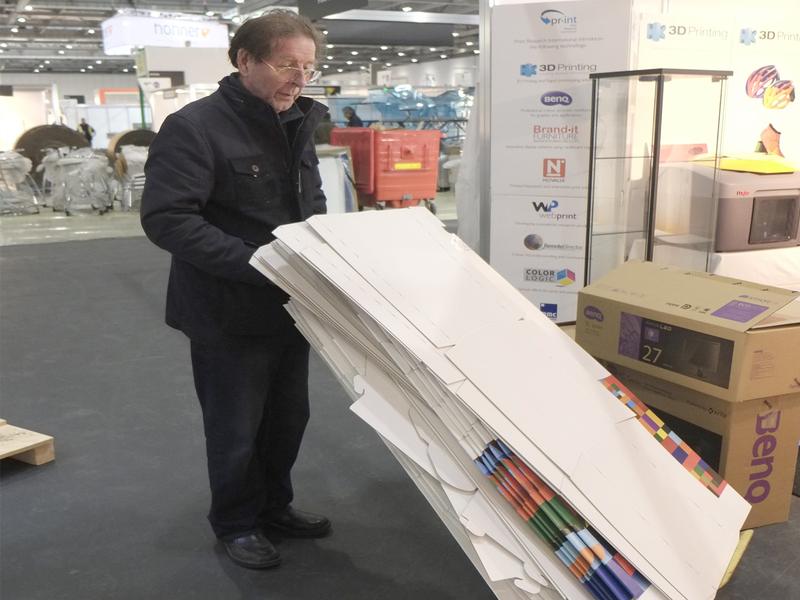 Lecturns and Projector stands – If you are presenting content at your event why not have a branded cardboard lectern so that your event branding is available to everyone. The lectern or plinths can also be adapted to house a projector so that all the equipment is hidden from sight. 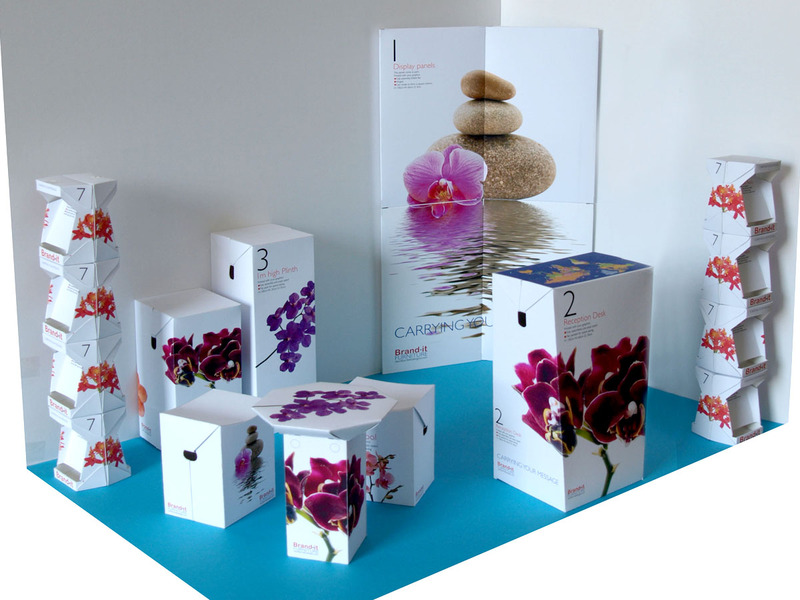 Cubes and Display System – The cube display system works with the plinths to form a modular display system that is extremely flexible for all kinds of products. The dimensions of the individual cubes enable them to be used in both horizontal or vertical configuration. Speaker Panels – At Brand•it we have the ability to convert cardboard panels into speakers or simply create a picture into a blue-tooth sound system. The actuators that we use are cost effective and vibrate the cardboard to create excellent sounds. 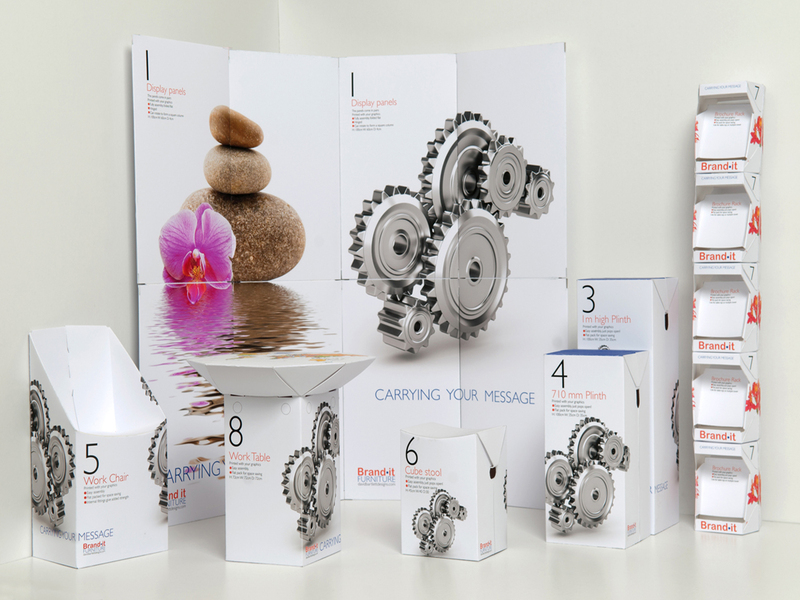 Brochure Rack – There are two types of brochure rack, a stack-able rack or a 4 pocket single rack. 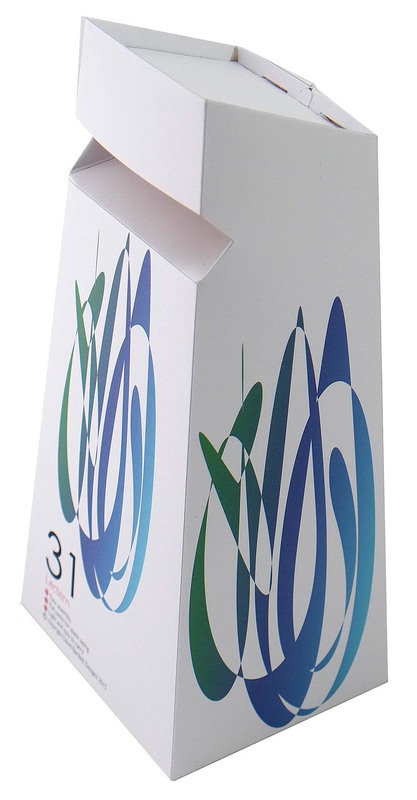 The stack-able racks can also be used singularly for convenient product information sheet holders. 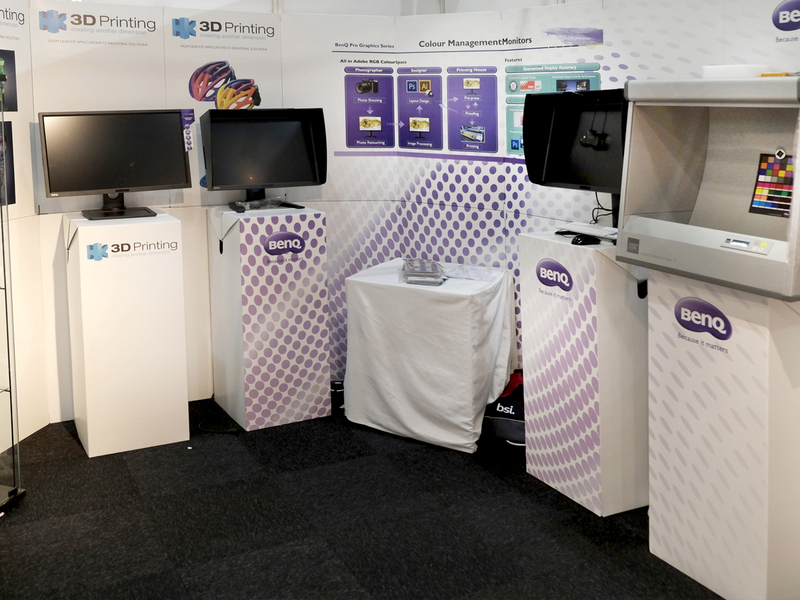 Plinths – Plinths are perfect for displaying your products, or standing monitors or other equipment to demonstrate your services. The top of the plinth opens to provide convenient storage.